The revised Legal Profession Act caused some stir among members of the Bar Association in September when the amendment resulted in the discontinuation of compulsory attendance. In retrospect, the move by government is similar to the prescription presently being tossed around amid the sugar crisis…that individuals and parties should be free to establish associations independent of the Bar and the B.S.C.F.A., respectively. 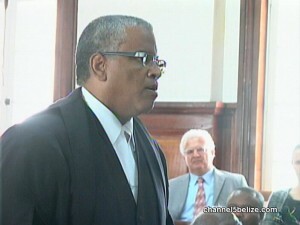 While Attorney General Wilfred Elrington has since gone on record to respond to various criticisms, the splintering, nonetheless, is viewed as a deliberate attempt to disband the association. This morning, President Eamon Courtenay urged for unity among attorneys in carrying out their social responsibilities, as well as the work of the Bar Association.